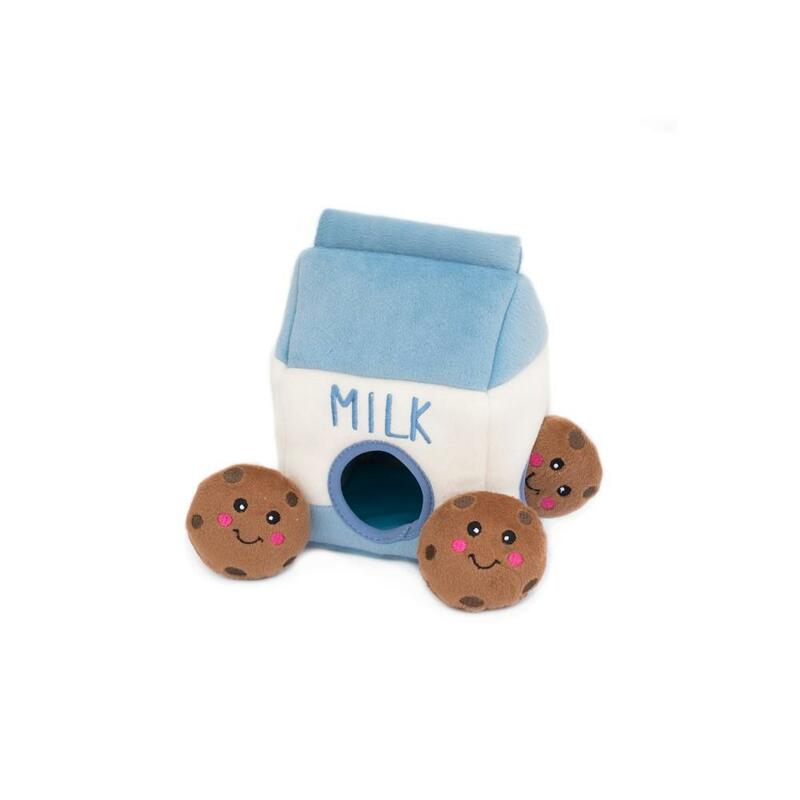 Dogs will be filled with excitement for hours with the ZippyPaws Burrow Dog Toy Milk and Cookies! Dogs love to bury their noses in the Zippy Burrow to dig out the critters. They’ll be begging you to put them back in the Burrow again and again for hours of fun! 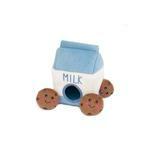 This interactive hide-and-seek toy comes with one milk carton cave and 3 small squeaky cookies. My German Shepherd LOVES these Borrow Dog Toys, we have so many of them!! He loves dragging the pieces out of them and squeaking them! !